Visiting Motithang Takin Preserve is a must while staying in Thimphu as it offers shelter to the endangering species - the national animal of Bhutan, the Takin. Also called the Takin Preserve, it is located in Motithang District of Thimphu City and covers an expanse of less than a square kilometer. Originally established as a mini zoo, it was elevated to the status of a Preserve when the Takins, despite being released into the wild in accordance with Buddhist principals, remained due to being too domesticated to live in the natural habitat. In addition, the Sambar and the Barking Deer are also found here. Takin was bestowed the honor of National Animal of Bhutan in 1985. This animal is found only on higher altitudes. Bhutan, Western part of China and some areas around this country are the only places where this animal can be seen. There is a strong association of Takin to Buddhism and its mythologies. Legend has it that Lama Drukpa Kuenly also known as the ‘Divine Madman' was once asked by his devotees to perform a miracle. He first ordered them to serve cow and goat for his meal. Savoring it completely, leaving only the bones, he then attached the skull of goat to the bones of cow which resulted in the birth of this animal. 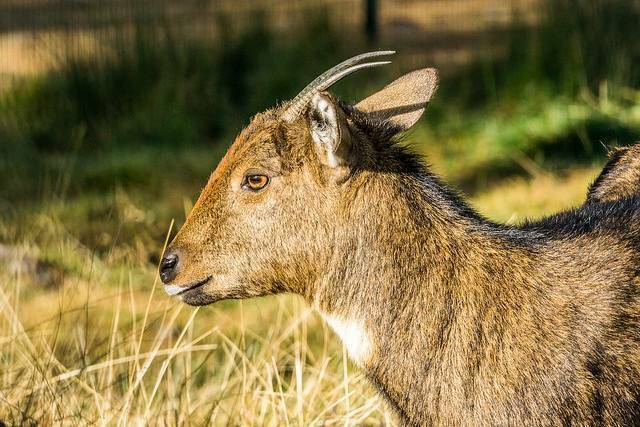 Takin has a category of its own due to its dissimilarity to any other animal. These docile mammals are of religious importance to the denizens of Bhutan and are said to have been created in the fifteenth century by a Tibetan Saint popularly called the, ‘Divine Madman.’ Their distinctive features garner much attention from the tourists and sightseers alike and there are trails and treks meandering through the natural preserve. Driving a little distance ahead of the telecommunication tower will lead one to this Preserve. While this natural habitat can be visited all-round the year, Takins can most commonly be seen during the early morning hours and cameras must be kept handy.